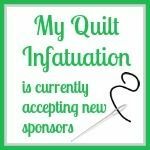 My Quilt Infatuation: Welcome Friends! 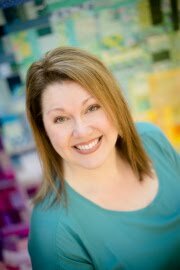 I'm so excited to have everyone here at My Quilt Infatuation for my stop on Plum and June's 2013 Let's Get Acquainted New Blogger Blog Hop. Whew! Try saying that five times fast! 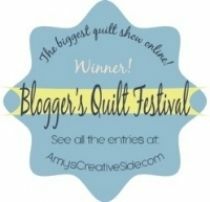 Although I'm not necessarily a new quilter, I'm a very new blogger! 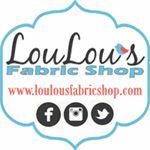 I've only been blogging for about a month, and through this hop, I've really enjoyed meeting lots of new bloggy friends who understand my infatuation with all things fabricy (that's a word, right?) and quilty as well as all of the challenges that go with it. Here's a quick glance at some of my most recent quilts. I try not to put a label on my style. If I like it, I make it! *I went on my first date with husband not too long after I turned 18 and knew I would marry him right away. We got engaged when I turned 19 and married when I was 21 (which everyone thinks is so young, but somehow it didn't feel like that to us!). Eighteen years later (and almost 15 years of marriage), he's still my sweetheart. *My wild thing is a miracle baby. We went through a lot to have him! He was born over 8 weeks premature and weighed just over 3 pounds at his tiniest. He finally got to come home after 5 weeks in the NICU. You'd never know it now, though! We've only got one, but he sure is special! *I was born and raised in Baton Rouge, Louisiana about 15 minutes from LSU, and I bleed purple and gold. Geaux Tigers! I graduated from LSU on my wedding day. It was my grandfather's job on my wedding day to pick up my diploma since I didn't participate in the ceremony. After our reception, on our way to our honeymoon, we just had to stop at my grandparents' house so I could lay eyes on my college diploma- then we were on our way! *Like any good Louisiana girl, I like jambalaya, crawfish, and gumbo- and I can cook all of it. *I am a singer and I have a college minor in Vocal Performance. Broadway musicals are my guilty musical pleasure. I know all the words to the songs of almost any well-known musical and I find opportunities to bust out singing them in daily life (wild thing loves it, while my husband tends to roll his eyes with a smirk). *I am a complete sucker for squishy Boxer jowls. Seriously, how could I possibly resist this face? Even though this face would not stop wiggling for a good picture. *I sew on a Bernina 550 QE that I just got for Mother's Day. Before that, I sewed on a Brother CS6000i. *I made my first quilt in 1999 and did it the hard way. You can read more about it HERE! *I just started doing free motion quilting in February. I only did straight line quilting before, and I tied a few quilts. *I never use straight pins for anything. Really- not anything. I hold everything together with my fingers while I sew and and adjust it as I need to. Not technically the "right" way to do things, but until it jumps up and bites me in the behind, I'll continue doing things my way. *I prefer to do all of my work on the machine, including binding. I don't know if it's just a weird thing in my head, but I think that machine stitches are stronger than my hand stitches. Plus, by the time I get to binding, I'm ready for the finish! *Basting is the devil- with any method. I am not kidding. And so I can keep this polite, I'll not say anything else. *I have two big things going on right now at My Quilt Infatuation- first is the Beginner Quilt Along, which was started because friends kept asking me to teach them to quilt (like I needed any encouragement to spread my obsession- I just needed to wait until summer when I have the time). *The second big thing happening (starting TODAY, in fact!) is Needle and Thread Thursday! I'm starting a Thursday link party, since there aren't many for quilters and sewers on Thursdays. I hope you'll link up and share what you're working on. Here's the button! Well, I'm pretty sure I've filled you in on all of the details you wanted to know, and probably some you didn't! Thanks for stopping by and don't forget to check out the other blog hoppers' posts this week. They're sure to be fantastic! Awesome up do!, lol! It's nice to learn a bit about you, i'm with ya on the Boxer jowls... we have one too! Thank you so much for sharing Kelly! I personally love the up-do and that you made the effort to convert your wedding picture to digital form. Have so many old photos that are needin the same treatment here. I agree 100 per cent on the basting and no pins... So pleased to meet someone after my own heat here!! Can't wait til thursdays's linky, count me in for sure! This is such a great post Kelly - it was so fun to read and learn all of this about you! And I so agree with you about pins - oh, and Broadway musicals - I know all the words too! So great to know you Kelly. I only do one quilt at a time too. It kills me not to cut fabric, but I must have order! Well Kelly, what a pleasure! I enjoyed getting to know you. I too, work on only one project at a time. I really thought that I was the only one. The difference is, I cut 10 - 15 projects at a time. I had no idea your blog was even newer than mine (started in March)! Yours seems so professional...like you've been at it long enough to know what you're doing! I married my husband 3 weeks after my 22 birthday. It didn't seem young to me either, but Dad did comment on my age a little after the engagement. Hi Kelly...so nice to meet you. 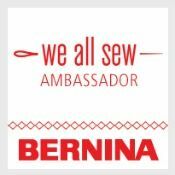 I know that basting devil and love my Bernina! Bee-née-née hates spray basting and just won't have it if I try to use the BRS foot. I never do one project at a time...I have kwilting ADD. Thanks for the new linky..will be over soon! Welcome to blog hopping! I love this post! Basting is the devil! HATE it! But I wish I had the patience to finish one project until I move on to the next! I have a super hard time doing that. 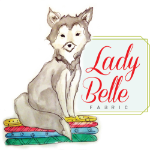 I love the personal bits you put into your post and I am SO excited about your linky party. I'm in for sure! What a great post! I have to agree with you on basting. Henceforth why I had to purchase the long arm! Plus it makes free motion quilting easier, which I prefer anyways. I love some of your projects that you have made. You have a great style. I would also love to know more about how you started up a quilt along and what went into it, so let me know when you have a chance. I also really really like your header!!!! Great post! I enjoyed getting to learn more about you. I hate pins too because I am clumsy and always stick myself, but I use them anyway. Plus I couldn't live without 505 basting Spray. No wind is the key. lol! I plan on checking out your link up too! Have fun. Wonderful post - I am also a cajun by birth and a graduate of LSU - I graduated in 1995 - seems like FOREVER ago! I think you have a great blog going, keep it up! Glad to meet you through this blog hop - hope to see you again soon!! Great post Kelly - nice to learn a little bit more about you. Needle and Thread Thursday is a great idea - I'll definitely try to link up in future. I can't believe your discipline - only working on one thing at a time?! Unheard of for me! I am a safety pin baster too - it's pretty windy where I live so I think spray basting would be quite a challenge. Nice to meet you! I am so impressed that you only work on one quilt at a time. That is an impressive habit! Great to get to know you a little bit better. OMG, I will not tell you how many WIP and UFO´s I have. Very impressive! Hi Kelly, great to see your blog. I'm visiting through the Let's Get Acquainted Blogger Hop and oved your blog post. I enjoyed reading your post! And basting is the devil!!! I so agree. Such a cute picture! Can't believe you've only been blogging a month I thought you'd been doing it for ages. I try to finish each project as I go, but I get bored easily and need constant change! One. Quilt at a time is so good. I am a serial quilter with 4/5 on the go at once! Love the wedding photo! It is perfectf! OMGoodness, I seriously want to hug that dog of yours - that is the cuuuutest picture. He is adorable! Machine binding is my preference too - I really like the look of it and agreed -soooo much stronger esp than MY hand stitches!!! Haha! Really sweet blog. I can tell you must be a sweet girl. I got married in 1998, too and I have one child also. Good luck with your beginner quilt group. I look forward to linking up with you on Thursdays! Excellent blog hop post! I think I will try join in with the Quilt-along, I really like the pattern. p.s. I had the same hair-do in my wedding photo. Gotta love the mid 90's!! Hi Kelly, nice to meet you. I missed the thursday linky - v. busy week, but have added the button to my blog so I don't forget next week! I love the stuff you have made - and as I got married in 1997 I shall say nothing about your hair!!! Ooh, new links party! Fun! You're right, there aren't a whole lot of them for our type of people on Thursday. Good idea! I think finishing every project before you start a new one is quite a feat! I get distracted too easily, I suppose :) and I totally agree. Basting is absolutely my least favorite part of the process. Blech! Nice to meet you! Nice to see a neighbor on the blog hop (I live in TX)! Love the way you put things (you're right, basting IS the devil, no matter how you do it). Nice to meet you! I am from Texas, but my Grandmother is from Louisiana so I grew up eating a lot of gumbo! I got married young too, at 22, but it was wonderful for us and I'm glad it was for you too! Nice to read a little bit about you. I will make a note of your linky party. I do agree Thursday's are a bit scarce in terms of linky parties. My mouth is still hanging open at the fact that you stick to one quilt at a time!!! There is no way that I would ever be able to commit to that. When I get stuck, I work on other projects as a way to think through how I want to tackle the problem that tripped me up in the first place. Your dog is adorable. The droopy jowls and the perky flop ears give him such an expressive face. Great write up! I am fortunate to have a friend who ha taught me to make real gumbo and it is truly the best thing ever, you have so many great projects here-thanks for sharing! So fun to read your post and I am amazed you only have one project at a time. That is impressive! We've a Basset so wobbly jaws and all around droopiness are hard to resist. I love your Soul Blossoms quilt - beautiful colours! Love the puppy picture! Great wedding/graduation story! And I am impressed with your discipline about one project at a time. 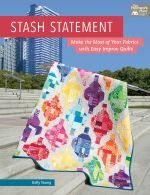 I am a relatively new quilter and am frequently amazed when I read about quilters with multiple WIP's...how do they keep track of next steps, fabric requirements, etc.? I guess my mind does not multi-task well! Glad to know I am not alone! Good for you starting a linky party! Best of luck with it--I'll make sure to stop by and check out the links! I hate basting, too, although I'm not sure there are any quilters who enjoy that step. By that point I just want to get on with the quilting. You only have one project going at a time! That is impressive. I wish I had that kind of self control. Great post! I can't stand basting either, and I fel the same way about never starting another project until the last one is finished. I have one or two works in progress lurking in the shadows now, but mostly I still stick to the same rule of thumb! It was nice to meet you Kelly! I sew on a 550 too. Do you like yours? I usually only work one project at time too. I don't have the space to have multiple WIPs all over the place! Ha! Kelly! I read this right when you posted, and I'm just now realizing I didn't comment. Silly me! So glad I found your blog through this hop and I still can't believe you're new to blogging. I love your quilts and your posts - so glad you've started Needle and Thread Thursday! Wow, you've been quilting for a long time:) I love the tags you put on the back of your quilts...maybe you could do a tutorial on how you make yours? I'm a new follower! It was so nice to meet you! I can't believe you've only been blogging for a month, I was sooooo not this put together a month in. Gah, I don't even want to know what was on my blog then, lol! Just so we're clear, "fabricy" is totally a word! 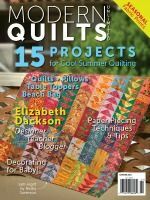 Great introduction to you and your quilty world! Ha! I can so relate to you - basting is my far my least favorite step in the process too! My husband and I married over 13 years ago when I was 18 and he was 21 - so, so young but I guess it worked out for us ;) Your quilts are lovely - it's great to meet you through the Hop! Great post Kelly, it is nice to meet you. I agree with you about only working on one project at a time. I usually try to stick to one project otherwise I get very stress. Hey there, I am sorry I am so late, but it's lovely to meet you and learn a little more about you! Your quilts are lovely and I was really touched about the story of your son. 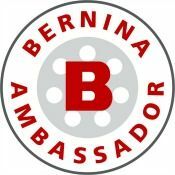 Oh and we must have a cosmic connection because I got a Bernina 550QE for Mother's Day this year too - how weird is that! But aren't they amazing, I just love mine and I've not even used it to it's full potential yet. I also only like to have one project at a time, but for some reason I've got about 3 on the go at the moment! I'm so impressed by your restraint with projects! I am so all over the place :c I have to have a bunch going on, because my attention wanes easily and I can get bored of something. If I don't have another project to do, I'm just sitting around! May as well make some use of that time...but then it turns into having too many projects to not be overwhelmed by. Hard balance! I hardly ever use pins when sewing too! When you pin baste, do you use the Kwik Klip to close the safety pins? It really saves your fingers! I really can't even imagine finishing a whole quilt before starting another project - I must have quilter ADD! I can't imagine how I missed this post! I've been systematically clicking through each post each week! However I've found you now and I'm glad I have! Now I'll have to try to remember to link up on Thursdays to Needle and Thread Thursday- what a great initiative! Well this is funny because I had it as part of my bio for the longest time and just recently changed it, although what I say now is pretty boring. I love to break out in show tunes and musicals and get my feelings hurt when no one knows the words. And I almost said your Amy Butler quilt (The Bohemian one) reminded me of Chorus Line on Broadway, but I didn't say that because that sounded stupid. Now I know you would have totally got it! 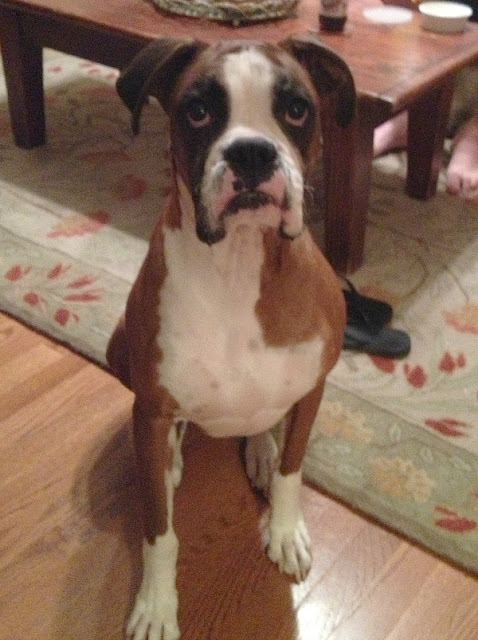 LOL Our son begs for a Boxer and we say no. :( Maybe someday, but not now. Hi Kelly....I can't tell you how excited I am about finding your blog! I'm a 68 year old "beginner" sewer/quilter. I've made a rag quilt which turned out beautiful and has encouraged me to move forward. I would like to know how to make the Garden Wall big enough to be a bedspread for a twin bed. I have a guest room with two twins in it and I think it would be perfect. Any help you can give would be most appreciated! I've been getting links to your blog for a little while now, but just today found this page. If it's not enough that we like making quilts, I've got a thing for those squishy boxer faces too. Who can resist 'em!!?! I know!! they are pretty irresistible. LOVE them so much.